This outfit is from a weekend when M and I and some friends went out to lunch, then we went to this little choco-cafe place called “U Cervene zidle” for dessert. 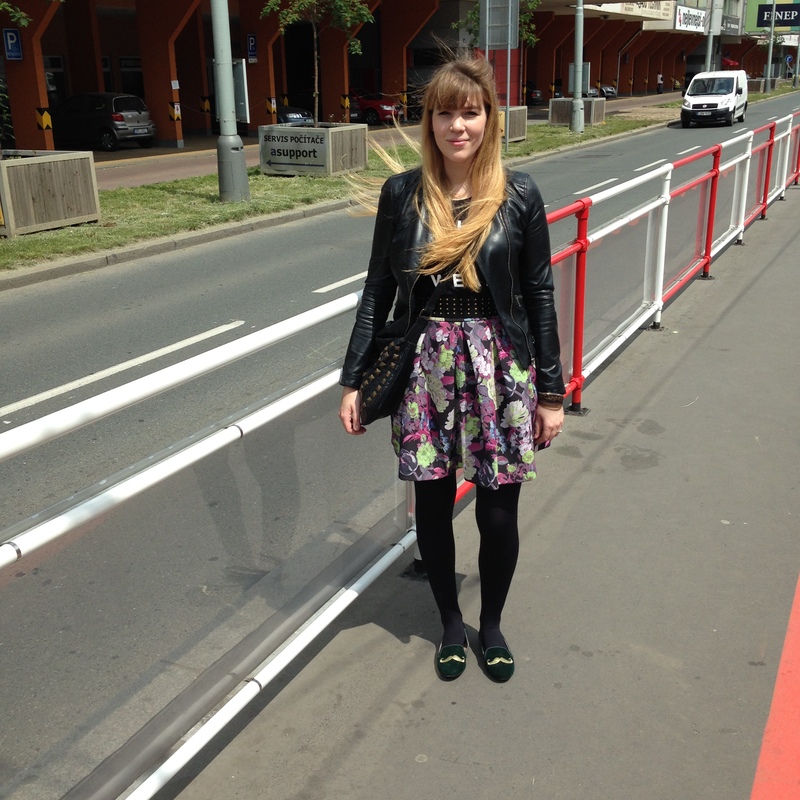 Then we all went to the Prague Rum Fest (a rum festival) because M really wanted to go. And after that we went to have dinner, so it was a really busy day! My outfit was centered around comfort with a bit of style. I went with flats as I knew there would be loads of walking involved. 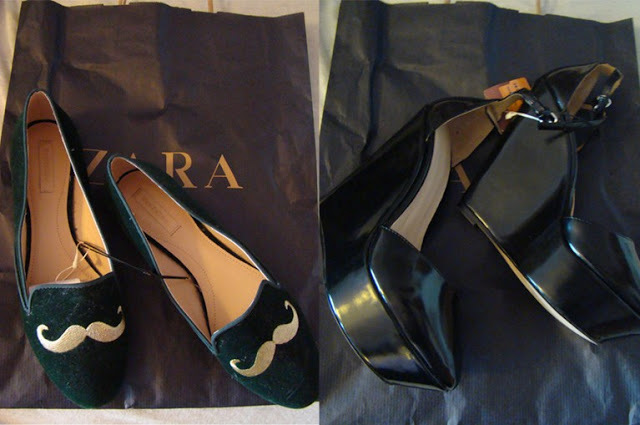 I haven’t worn these Zara mustache green velvet slipper shoes in ages! I bought these shoes in late January 2013, at the end of the post Christmas Zara sale. I actually remember shopping for these! I stopped by a Zara store (a different – a further away one – than I usually used to go to) and bought these two pairs of shoes. 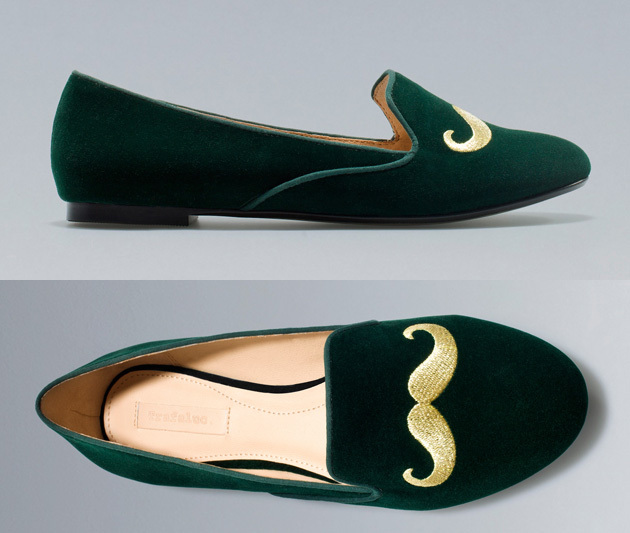 The first pair – a cutesy pair of flats with an embroidered mustache – was a tough decision whether to get them or not. They were the last pair and cost only 300 crowns. But I wasn’t sure I would get much wear out of them. But in the end I bought them because I was afraid if I hadn’t I would regret it. On to the second pair: a lovely pair of wedges. I was thinking about getting them about two weeks before but then thought they were still too expensive and that I would wait and risk it and of course, they disappeared from my Zara shop (my meaning the closest to my old flat). I was sad and thought I’d never get them. But – ha! – they had them over at the Chodov shopping mall and waaaay cheaper too. Good thing I waited! Sometimes it’s really good to wait it out a bit. But sometimes you miss out. Back to the outfit. I knew I needed something that would take me from day to night and it was a rather windy day. 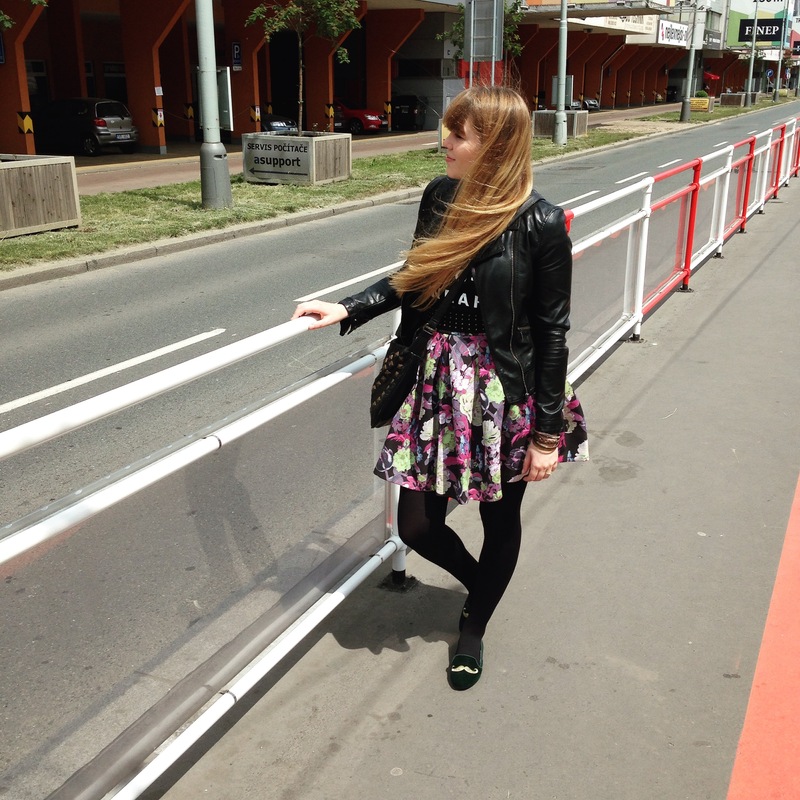 So I decided to wear my favorite fake leather jacket (Zara) and a skirt/shirt combo. The shirt is a classic black tee with white lettering (it reads “nothing to wear”) and the skirt is made from a thick scuba material and has an almost tulip shape. It’s a little big on me even though it’s my regular size and since it is quite heavy (the scuba material is very thick!) it really needed a belt to help hold it up a bit. So I added my trusty old H&M studded belt and to match it I wore my super old Stradivarius bag. Anyways, I really rather liked this outfit and it was a great day. It’s nice to have a busy weekend once in a while and to see friends (though I also really like lazy weekends). Those shoes are sooo good, both the colour and the moustache. Your skirt is really pretty too.